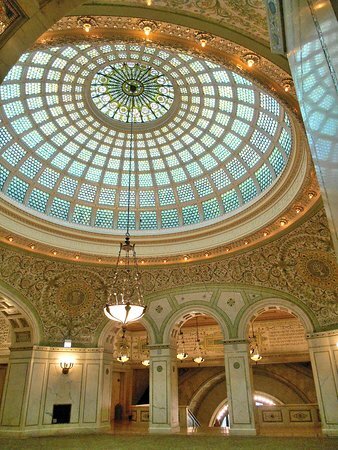 Which Chicago Architecture Tours Are Best? Posted April 14th, 2019 by Stephen Pickhardt & filed under Chicago. This post compares and reviews the many options for Chicago architecture tours with review analysis to help you choose which one is best for you, including our pay-what-you-like options. With so many wonderful buildings located near the water, it’s actually quite easy to experience an entire boat tour focused specifically on architecture. Posted April 13th, 2019 by canden & filed under Chicago. Visiting Chicago for Memorial Day? This post covers things to do in Chicago on Memorial Day 2019 and the entire weekend, including a top 5 list, nighttime activities, family-friendly things to do, and free things. Read our master post on things to do in Chicago if you’re there all of May. Chicago offers a lot of things to do around the city for Memorial Day weekend. Celebrate our veterans with the Memorial Day parade and check experience the rest of our top five list for Memorial Day. For more ideas on popular things to do in Chicago, check out our posts on bus tours and walking tours of the city. This posts reviews and compares the best Chicago boat tours and cruises, including architecture cruises, sightseeing tours, speedboats, sailboats, kayaks, and water taxis. Posted March 24th, 2019 by canden & filed under Chicago. This post covers the best things to do in Chicago this June, including a top 10 list as well as a family-friendly, nighttime activities, and free things to do, all updated for 2019. If you’re looking for the best things to do in June, take a look at our suggestions for the best activities here, which include sports, theatre, and festivals. Some of the things we’ve listed here are included in one of the available tourist attraction discount passes. And don’t forget about our comparison of the most popular bus tours in Chicago! Take advantage of the great weather and head out on a tour! Of course, we offer pay-what-you-like tours multiple times per week. If you’re looking for a bus tour, we have a great comparison of Chicago’s best. From hop-on-hop-off buses to nonstop our nighttime tours, you’ll find one to suit you here. To go for something more adventurous, try a kayaking tour or an architecture-focused river cruise. There are quite a few big-name acts coming through Chicago in June. We’ve listed the highlights below, but you can find all major June concerts here. The teens in your group will love acts like Ariana Grande! To see some more family-friendly activities, check the section below. Soccer and baseball are both in full swing, and hockey is in the last few weeks of the Stanley Cup Tournament. June is the perfect time to indulge in your competitive side with local teams. Seeing a big game is a great way to spend your afternoon or evening! For more things to do at night, check the section down below. From family-friendly superheroes to more adult subjects, Chicago has several opportunities to add a theatre show to an evening of your visit. We have more nighttime activities listed below. PJ Masks Live is a fun, family-friendly stage show based on the cartoon show. With fun music and acrobatics, kids aged 2+ will enjoy watching Catboy, Owlette, and Gekko save the day. Falsettos is a play that takes a look at the AIDS crisis through the eyes of a man bringing his new partner into his and his son’s life. Suggested for ages 13+. See what else is playing in town. This is the largest outdoor Literature Festival in the Mid-West! There are loads of books, authors, signings, and events. Much of it is free though some parts of the festival are ticketed. Plus, there is an entire Children’s Literature area that will be a blast for the kiddos. It is located at Historic Printer’s Row downtown near Congress and Dearborn. And you can find more family-friendly activities in the section below. It takes place from June 8 – 9, 2019. This is a fun opportunity to really sink into the Chicago Blues scene. Enjoy artists like Buddy Guy, Zora Young, and Willie Dixon and Muddy Waters for free. This year the Chicago Blues Festival will have delicious food trucks nearby! It takes place from June 7 – 9 from 11:00 am – 9:30 pm daily. For more nighttime events, check out the things to do at night section below. Vegetarians might want to avoid this event since it will be filled with seasoned and barbequed ribs! There will be food, drink, and music at RibFest. It was featured on the Food Network in 2014 with Eating America Anthony Anderson. The Fest dates are from June 14 – 16, 2019. The Old Town Art Fair has been going for over 70 years. This lovely historic neighborhood is a delightful backdrop to peruse the work of 250 chosen artists. Want an excellent Chicago souvenir? Buy local art! The fair is June 8 – 9 from 10:00 am – 6:00 pm. The Pride Festival and Parade is a huge party that celebrates the Chicago LGBTQ+ community on the weekend of June 22 – 23, since all of June is Pride Month. There will be music, plenty of food and drink, and karaoke and contests in Boystown off of Halsted. The parade will be the following weekend on June 30, 2019. These events are free to attend. For more free things to do, check out this section below. 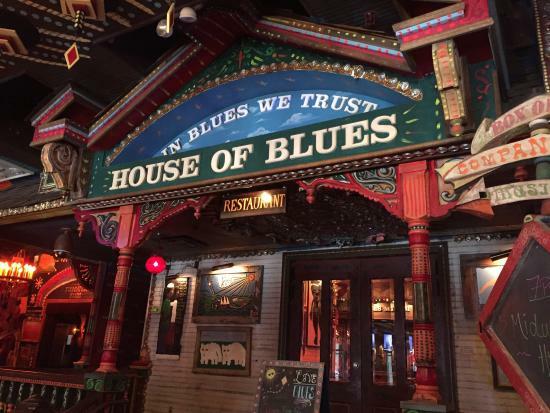 Many of Chicago’s biggest attractions have entry fees. While you do pay for a tourist discount pass, it can give you a bulk discount and free admission into some interesting tours and museums, saving you up to 55%. They can also save you time with skip-the-ticket-line privileges. Each Chicago Tourist Discount Pass includes a variety of fun family-friendly activities and attractions. Here are a few examples of what you can visit with a tourist pass, for a discount or for free. Many of our top ten activities are perfect for the evening hours, but below are some other suggestions to fill in your evenings during the month of June, including night tours, the symphony, and craft brew events. Read our post about the Top Ten Things to Do in Chicago at Night for more ideas. Looking to see a different side of Chicago? Take a walk with some spooky history on our evening Ghost Tour. Expect to laugh more than you scream as you learn about past hauntings and the (sometimes funny) reasons behind local ghost stories. Also, several bus tours operate night additions of their day tours. The Lincoln Park Zoo is known for always having fun, interactive events and concerts for all ages. Lincoln Park Zoo and Lou Dog Events are hosting their annual Craft Brews beer festival at Lincoln Park Zoo! Savor a selection of 120+ specialty beers from local and regional breweries. This event is on June 14 – 15 from 6:00 pm – 10:00 pm for an adults-only night out. As you might guess after grooving at the Chicago Blues Fest, there are plenty of local musical experiences at night. Explore some of Chicago’s best game bars. Whether you want to try an arcade bar with some pinball and Packman or try a classic board game, Chicago has a bar for you. Check out our favorite game bars across the city. The Chicago Symphony has multiple concerts in June this year. From listening to An American in Paris to some more sophisticated composers, there will probably be something for everyone. The most exciting for many, including families, might be the showing of Harry Potter and the Prisoner of Azkaban with the symphony playing the score live in-theatre on June 27. Practice your baseball skills right outside of historic Wrigley Field at the batting cages at Sluggers. Beyond the batting cages, you can participate in other games such as skee-ball, and catch some games on the TVs at this beloved sports bar. Below you will find several great options to keep your children entertained this month, including parks, museums, and theater! Check out our post about Family Friendly Activities in Chicago for a more complete guide. We have two baseball teams here, so there are plenty of options for families to go catch a game! The Cubs play north of downtown at Wrigley Field, and the White Sox play south of the skyscrapers at the Guaranteed Rate Field. Tour both stadiums, or just enjoy the fresh air while cheering on our Chicago teams! 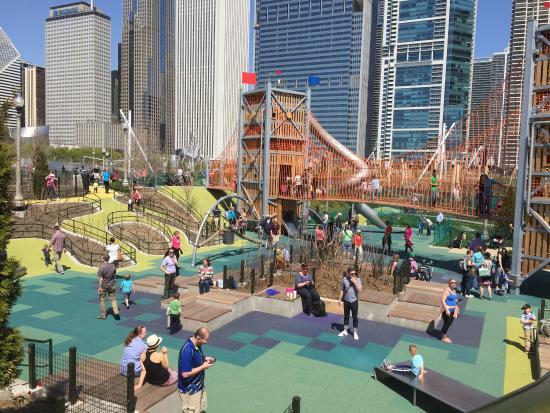 Chicago is full of green grass and playgrounds for kids to get out their energy. One of the best parks is nestled in-between downtown and Lake Michigan, Maggie Daley Park. As one of our newest parks, it is also one of the best, with lots of different playgrounds for kids of all ages, a rock climbing wall, mini-golf, and tennis courts. Now that the weather is warming up, farmers markets will begin to pop up across the city! From produce to homemade crafts and baked goods, you will definitely find something interesting or delicious. Markets are open almost every day of the week on Tuesdays, Wednesdays, Thursdays, Saturdays, and Sundays. 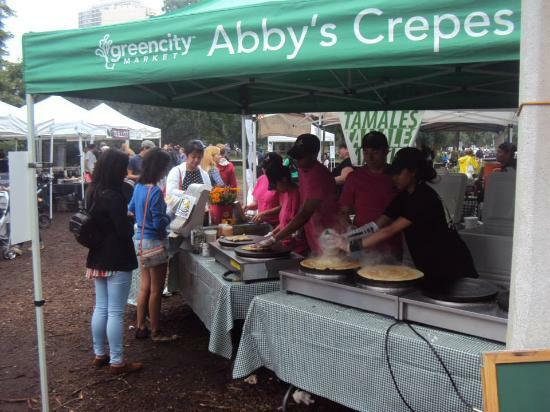 Find a list of the city’s markets and their schedules here. There are many free activities to take advantage of in Chicago including walking tours, the zoo, and other attractions. Check out our comprehensive post about the Top Free Things to Do in Chicago. The weather is perfect to see some of the most famous Chicago sights on a pay-what-you-wish walking tour with us! The North Loop and Millennium Park Tour will take you to the famous bean art installation, Marshall Fields, and more. The Lincoln Park Zoo is one of the oldest zoos in the country, and one of the last few free zoos. Home to over 1,000 animals, this is a great stop during your time in the city. While you are in the area, you can also explore the Lincoln Park Conservatory and the park itself. With the warmer weather, it is the perfect time to explore the riverwalk. This beautiful stretch will bring you below the busy streets and right along the river’s edge, lined with restaurants, art, and fountains. Learn more about the river and the riverwalk itself on our Riverwalk and History Tour. This beautiful and historic building is free and open for the public to explore. Beyond the art that lines the walls, you will find free traveling films, lectures, and performances here. Check out their calendar of events to see what is going on during your visit. Inside the historic Chicago Athletic Association building you will find much more than a luxury hotel. On the second floor, there is a Game Room with shuffleboard, pool tables, foosball, and bocce. All free to use, find the game master to make a reservation while you enjoy something to sip on. Posted March 13th, 2019 by canden & filed under Chicago. This post lists top things to do in Chicago in May, updated for 2019, as well as things to do at night, free activities and family-friendly events. Be sure to read about things to do all year round! This section covers our top ten list for May. When possible, we’ve noted activities that are free or kid-friendly. Some of the items listed in this post are included for free with the purchase of a tourist discount pass. What is the Weather in Chicago in May? Posted February 24th, 2019 by canden & filed under Chicago. This post is an overview of the May weather in Chicago, including snow and precipitation forecasts, as well as tips on how to dress and things to do. HOW COLD IS CHICAGO IN MAY? The temperatures reach between 66 °F and 74°F (19-23 °C), with an average high of 70 °F (21°C). On the other end, the average low this month dips down to 48 °F (9°C). The temperatures climb steadily throughout the month, and by the end of May, the temperatures have reached to be 10 °F (5 °C) warmer. HOW MUCH SUN AND RAIN? During this month, the city often sees 3.7 inches (93 mm) of rain over the course of 12 rainy days. The sun shines 58% of the day, with an average of 7 clear days. The humidity this month is down to an average of 64%, peaking at 77% in the mornings. WHAT TO WEAR IN MAY? May brings in very pleasant weather and tends to be the city’s least humid month but you should still bring some light jackets and layers for evenings, especially earlier in the month. Umbrellas and rain boots are a good idea for the rainy days you’ll see in May. WHAT TO DO IN CHICAGO IN MAY? Below are the top things to do in May in Chicago. But, be sure to read our full post on what to do in Chicago in May, which includes free things to do, night and family-friendly activities and attractions, as well as our definitive post on the best things to do in Chicago. And if you are planning on visiting many of Chicago’s top attractions, then you should consider a tourist attraction discount pass. These passes could save up to 55% of retail ticket prices to tours, attractions, and restaurants, not to mention saving you time waiting in ticket lines. Be sure to check out all the top things to do in May in our main post. Posted February 16th, 2019 by canden & filed under Chicago. This post contains details about the most popular things to do with your family in Chicago, including free things to do, nighttime activities and popular attractions, updated for 2019. The following section will cover the best ideas for things to do with your kids in Chicago, covering whether an activity is free or available at night. For more ideas on top popular attractions, check out our comparison post on tourist discount passes, which could help you save money on admission and which also offer family-friendly itineraries. You might also want to take a look at our name your own price walking tours and find out more about the various bus tours and boat tours available in Chicago. Posted February 11th, 2019 by canden & filed under Chicago. This post is an overview of the April weather in Chicago, including snow and precipitation forecasts, as well as tips on how to dress and things to do. Be sure to look into weather in March and June as well. HOW COLD IS CHICAGO IN APRIL? Weather in April is generally pleasant, after the months of winter that Chicago has experienced. You will want to be prepared for the weather so that you can properly pack, and so that nothing can hold you back during your stay in the city. The temperatures reach between 55 °F and 63°F (13-17°C), with an average high of 59 °F (15 °C). On the other end, the average low this month is 39 °F (4°C). the temperatures really warm up this month, and by the end of April the temperature has risen 12°F (7°C) from where it started. Most days, temps will peak over 40 °F (4 °C), with about half the days this month even reaching up to the 60s °F (over 15 °C). Chicago sees some spring showers this month, receiving about 3.4 inches (86 mm) of total precipitation over an average of 12 days. The sun shines 50% of the day, with an average of 6 clear days. The humidity this month peaks at 77%, with an average of 65% humidity. April is historically the windiest month of the year, with an average wind speed of 11.9 mph (19.2 kph). HOW MUCH DOES IT SNOW IN CHICAGO IN APRIL? Though it has snowed in April in the past, it is rare! WHAT TO WEAR IN APRIL? April is historically windy and rainy so a good weatherproof jacket is a must, as is an umbrella. You’ll still want warm clothes especially if you’ll be joining us on evening walking tours. WHAT TO DO IN CHICAGO IN APRIL? Below are the top things to do in April in Chicago. But, be sure to read our full post on what to do in Chicago in April, which includes free things to do, night and family-friendly activities and attractions, as well as our definitive post on the best things to do in Chicago. And if you are planning on visiting many of Chicago’s top attractions, then you should consider a tourist discount pass as you could save up to 50% of retail ticket prices to tours, attractions, and restaurants. Be sure to check out all the top things to do in April in our main post. Posted February 3rd, 2019 by Stephen Pickhardt & filed under Chicago. This post lists the things to do in Chicago, updated for 2019 and includes a top 10 list, free activities, family-friendly options as well as activities that are included in most tourist passes. You’re in Chicago, why not enjoy the nightlife? Check out our Chicago Visitors Guide, with budget advice, travel guides, and information about local Chicago attractions. Below is our top 10 recommendations for things to do at night in Chicago. Some of the items here would also fit in the other sections, such as free and family-friendly options. Within each listing, we provide links for more in-depth exploration of each selection. For tips on the most popular activities in Chicago, check out our schedule of pay-what-you-like walking tours, our bus tours, and boat cruise pages. Several of the items below are already included for free with the purchase of a tourist discount pass. Posted January 25th, 2019 by Chicago Content & filed under Chicago. This post lists top things to do in Chicago in April, updated for 2019, as well as things to do at night, free activities and family-friendly events. Be sure to look at what’s going on in Chicago in March and May or things to do all year round!